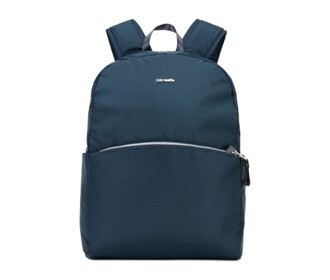 The Pacsafe StyleSafe Crossbody Backpack 10L is a convertible Anti-Theft backpack. User can convert from handbag to a crossbody type. A proper internal organization and room for 11-inch Laptop makes your work easy. A hidden pocket, anti-theft technology makes you liberal to keep your essentials safe. The Pacsafe StyleSafe Convertible Crossbody Bag - Navy has many exciting features for users of all types. You can extend the lifetime of your Pacsafe StyleSafe Convertible Crossbody Bag - Navy with the purchase of a FactoryOutletStore Factory Protection Plan. The Pacsafe StyleSafe Convertible Crossbody Bag - Navy is sold as a Brand New Unopened Item.